About 25 members of the Timucuan Longhouse of Native Sons and Daughters participated in a community service project at Taylor Manor on Saturday, December 17. 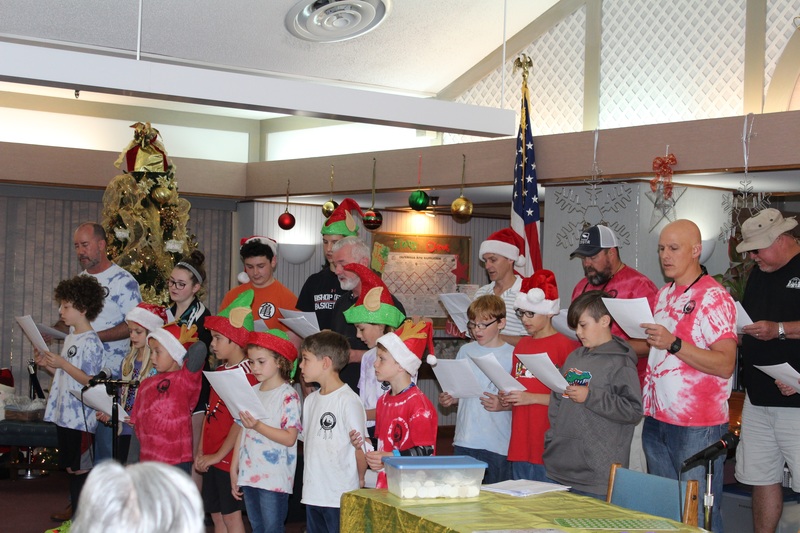 Native Sons and Daughters from several tribes met for a rehearsal at the home of Jeff Smith (Screaming Eagle) before heading to Taylor Manor to sing Christmas carols, hand out baked goods, and call a bingo game for the senior residents of Taylor Manor. Caroling at Taylor Manor has become an annual tradition that brings a lot of joy to the residents of Taylor Manor. Don’t miss this event next year!